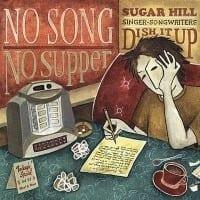 Sugar Hill's Terry Allen reissue program continues with this weird and wonderful collection. 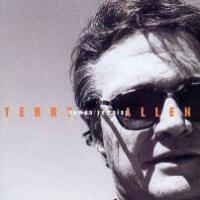 Subtitled Terry Allen's Greatest Missed Hits, it gathers together, with a perhaps unexpected degree of unity, what the liner notes term out-takes, in-takes, mistakes, work tapes, added top's, taken froms, omission's and foreign materials! 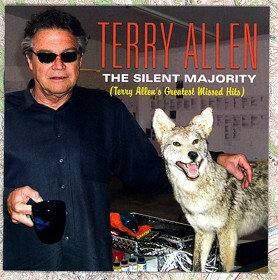 Recorded during the decade between 1983 and 1992, in locations ranging from Texas to India, The Silent Majority's colorful patchwork of music, every bit as much as any of his other releases, embodies Terry's all-embracing philosophy as an artist in dedicating his muse to multidisciplinary creative pursuits.